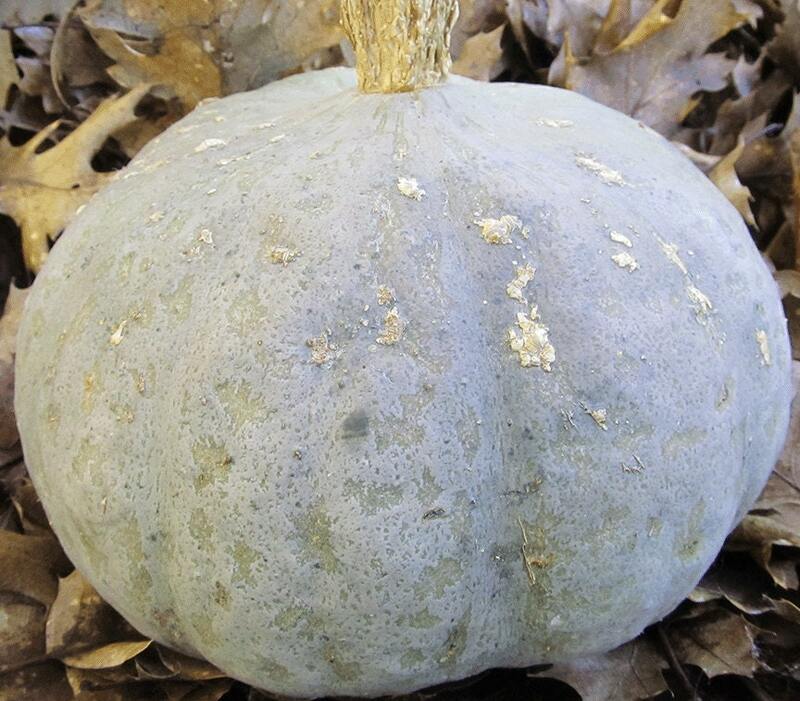 This Kabocha-type Japanese heirloom makes blocky blue-green fruit in a convenient 2-3 lb. size. The orange flesh is thick, rich, and very sweet. Outstanding winter storage capacity – easily keeps into March. Great for winter soups and stews, and as pie or custard it requires very little sweetening. Our seed came from the excellent selection work of Adaptive Seeds in Oregon. Culture: Direct sow when soil has warmed in late spring, or start 4 weeks earlier indoors and carefully transplant (roots don’t like jostling). Full sun, good soil, average water. The plant is a robust vine that wants to spread, so give it plenty of room. As with most vining squash, plants will send out auxiliary roots at leaf nodes along the vine to take up more moisture and nutrients. Harvest when big and blue, or leave until frost ends growth. Cure squash for a few weeks outdoors (indoors if outdoor temperatures go below freezing) before cooking or storing. I'm looking forward to picking! Thanks for the quick shipping!